still in place, even though yes, it is Super Bowl Sunday. breath. This class is open to all levels. and have moments when the tail is not wagging the dog. The three, are concentration, meditation, and no-self present. The term samyama is given to indicate that there is a sequence to contemplation, that most of us don’t just plop into no-self, but with practice and use of the breath we can ease the mind gradually from external awareness and progressively still it through the stages of concentration and meditation. When the mind drops of its own accord, then what is left is special and unique to each one of us. No one can take this experience away from us. It is the true merge with the infinite as the infinite. To be experienced, not to be talked about. This is the hidden jewel in yoga. 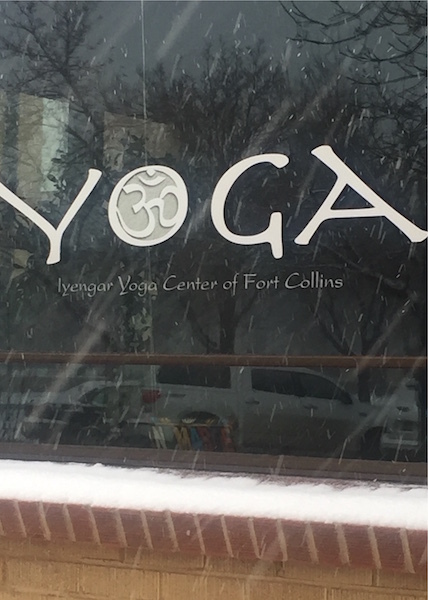 Unlimited Yoga Package for Basic Iyengar continues to be available, with Basic classes offered on Tuesday and Thursday evenings, as well as Sunday afternoon. We are pleased to report that the new Continuing Iyengar class, also on Sunday afternoon, has been a huge success. Have you joined us yet?